When I was a kid of single-digit age, things seemed easier: you had at best a dozen types of cereals in your local supermarket, instead of the 50+ brands you typically find nowadays. Bathroom gels, shower gels, shower creams, etc. hadn’t yet taken the world over by storm. Whilst I wouldn’t want to go back to the days of sub-optimal choice, the number of items on display can sometimes be a tad bewildering. The paradox of choice is a known topic, and not a month goes by without some behavioural economist publishing research supporting or disputing the validity of this hypothesis. Leaving the academic fine print aside, the challenge remains for brands to distinguish themselves from the countless look-alikes battling for space on the shelves and in the minds of the consumers. The result, of course, is a cacophony of marketing messages, slogans and call to actions. As a consumer, it’s easy to get dizzy with this continuous brouhaha. 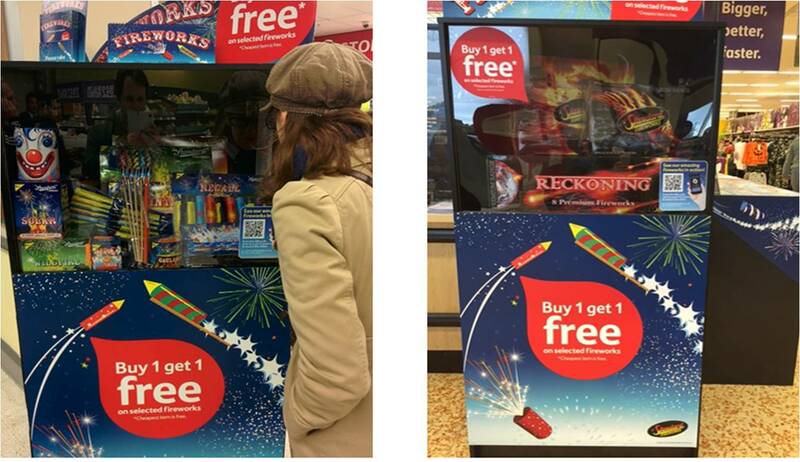 When I went to my local store to buy fireworks in preparation for Bonfire night, (a fun filled fireworks celebration in the UK) I expected more of the same—and as you can see from the below picture, I was greeted lots of choices. Actually 20+ firework types were on the shelf waiting for me to pick and choose. But, on this occasion the retailer did something interesting. Something really smart. Something right. 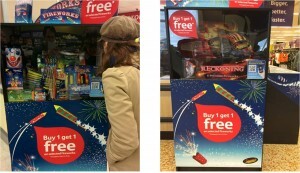 They included a simple brochure for shoppers to review the firework selections in one place. Sounds standard, right? Not even close. This simple brochure was so exciting to me and all the other shoppers that also wanted to buy the best fireworks. 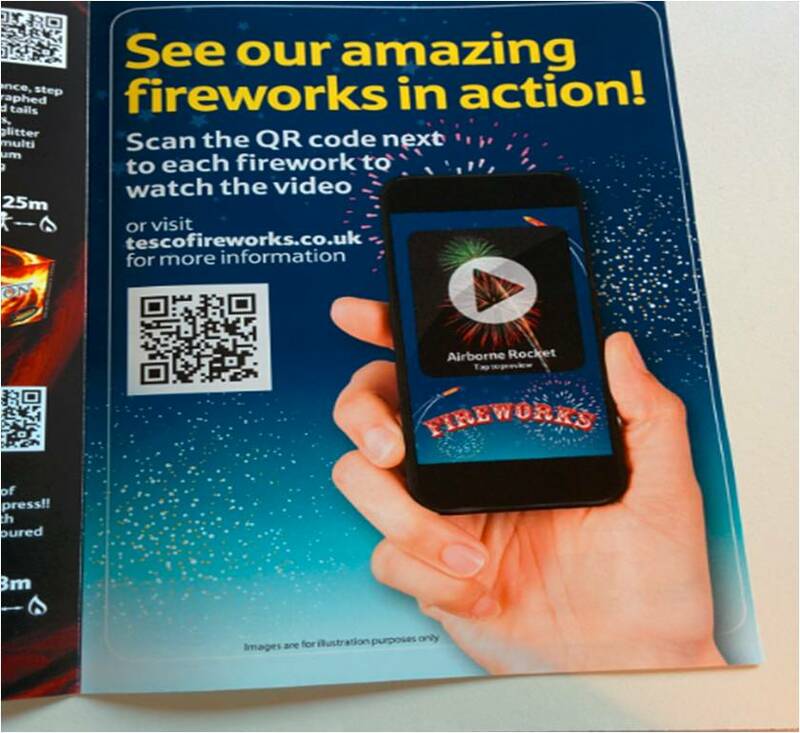 It included a pretty picture with the product information, as well as a QR Code for each firework. When scanned I was treated to a video of that exact firework in action. No more second guessing what the end result may look like. No more “what ifs”. Just a clear demonstration of what to expect from each firework that was available to purchase. Whilst this doesn’t entirely solve the paradox of choice, it does make it easier to choose the right product. And the beauty of it lies in its simplicity. Needless to say, our celebration was a beautiful success. My friends and family enjoyed our selection of fireworks—all thanks to simple, yet super smart, and interactive. Scan the below code to live the experience yourself. Shoppers are mobile, and should be able to connect with brands and products when mobile. Let Scanbuy help you engage with your shoppers – reach us at info@scanbuy.com.